Well I would like to tell you that our planters boxes are up and finished, and I could except that would be a blatant lie on my part ;-). In truth we’ve gotten a little bit derailed by BBQ’s and an abundant amount of rain. Hopefully they’ll be finished this weekend. 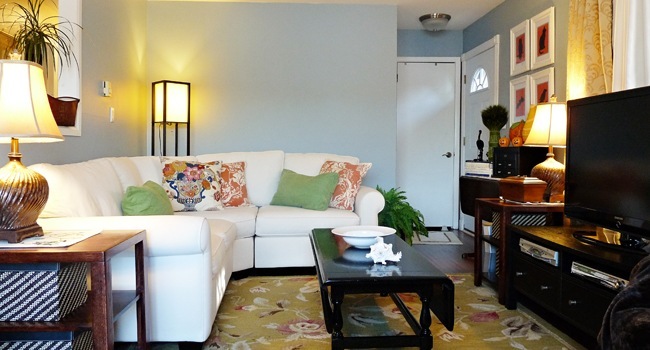 So anyway my living room is in desperate need of some side chairs to fill up an empty wall. The room is relatively narrow at around 12 feet wide and we have a sectional in there so the chairs need to be somewhat smallish in scale like my bedroom chairs. A recliners wont fit (sorry Bryan). 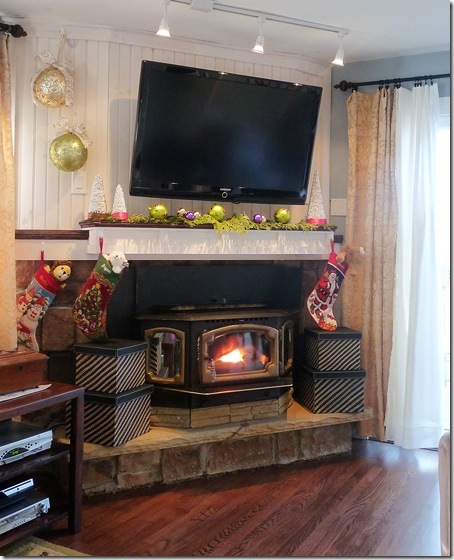 The chairs will sit to the right where the TV once did since it’s now hung on the wall above the fireplace. As you can see in this recycled picture from Christmas. Amazing that I haven’t taken a picture since then! There’s no real rush so I have been keeping my eyes open for just the right kind of chair that will fit. Lately I have been loving all kinds of cane and rattan chairs. Who knows where we’ll end up or when the right chair will pop up but here’s some of my favorites right now. 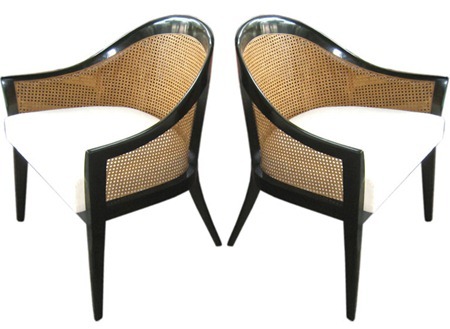 The black frames on these two make my heart go pitter patter both have a modern edge but would be equally comfortable in a traditional space. 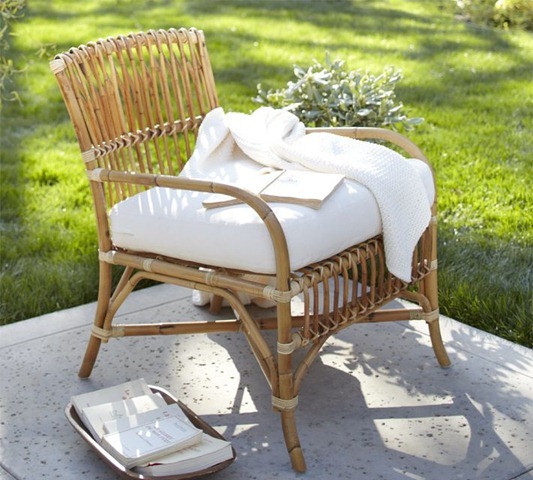 This rattan beauty from Pottery Barn could be equally at home indoors or out. I love it. I really like the unique square shape of the arms combined with the circle design on the arms. Such a beautiful designed piece. 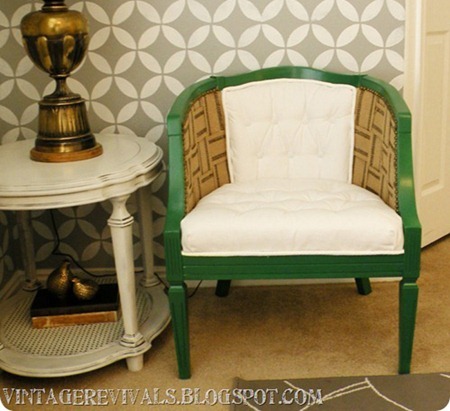 I love than the cane and rattan chairs can lend themselves to a beachy relaxed feel.